Isn’t it great to receive birthday wishes coming from friends, relatives and most especially your family members? 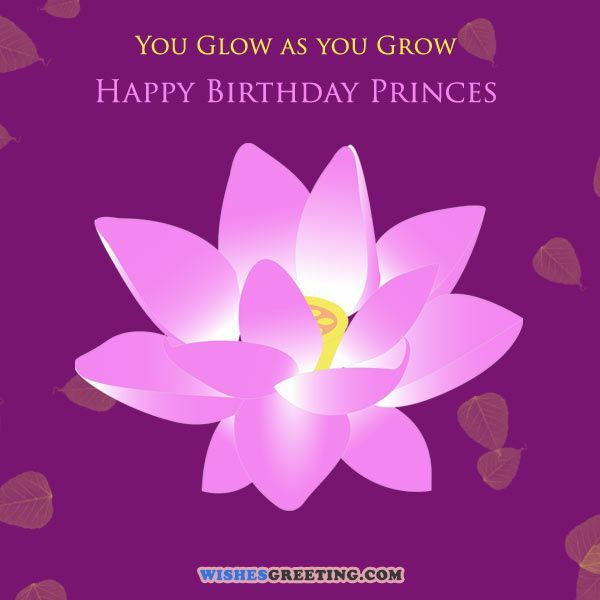 Receiving birthday wishes will make you feel so special and loved, thus, if your daughter is celebrating her natal day, make her feel special as well by sending her birthday wishes either through the mail, email, greeting cards, letters, etc. 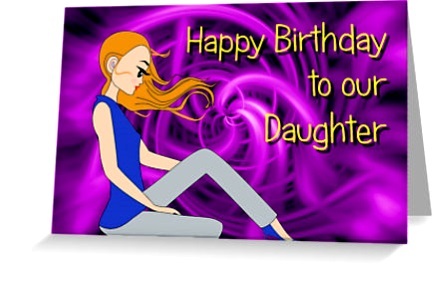 To save you time in having to come up with your own birthday wishes, why don’t you check out these 50 best happy birthday wishes for daughter so you will have a guide on what to write for your daughter. As parents, all we want is for you to grow and become a better person each day. May you touch the life of so many people and be an inspiration and a blessing to them, the way you are to us. Best bday to the most wonderful daughter in the world! I hope that you continue to share your kindness to everyone and continue to have a sincere heart in all the things you do. Happy bday! Our dear daughter, you have given us something that no one else could ever do for us – undying love and concern. And we are forever thankful for that. Wonderful bday our sweet darling! Dear daughter, you have made everything about life sweeter than any sweets in the world. Wonderful bday our little angel! Best bday our beloved daughter! May your day be filled with laughter and music, joy and love! We love you. Wonderful birthday to a daughter who have made joy to become even more joyful, beauty to become even more beautiful and wonder to become even more wonderful. For as long as I can remember, you have been the greatest blessing that I have received in my life. You are the greatest source of my happiness and joy. Wonderful birthday, my precious little daughter! I love you! Dear daughter, thank you so much for giving us a chance to become your mom and dad. We are truly happy and delighted to be your parents. You certainly make our life so much beautiful and for that we are forever grateful. Best Bday! Daughter, you are loved for the little girl that you were, for the special woman that you are now and for the wonderful daughter you will always be, happy bday! Wonderful birthday to my one of a kind daughter. It’s just hard to believe that you are a grown up now. I want you to know that you will always be my little doll. I love you. My dearest daughter, as you grow older and wiser, do not be scared to aim high to reach all your dreams. Never be afraid to fall because I will always be here to catch you. I love you my precious one, best birthday! 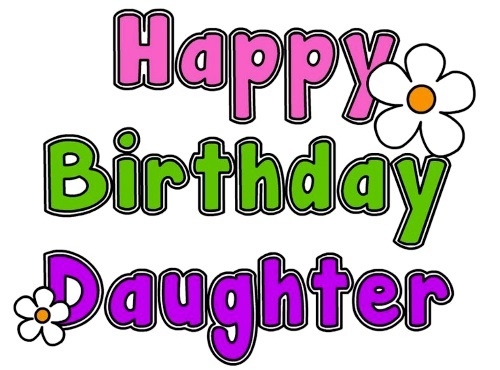 We are adding daily new happy birthday wishes to daughter so please keep visiting because we keep adding and updating with new birthday wishes for a daughter daily. Our love for you grows year by year. 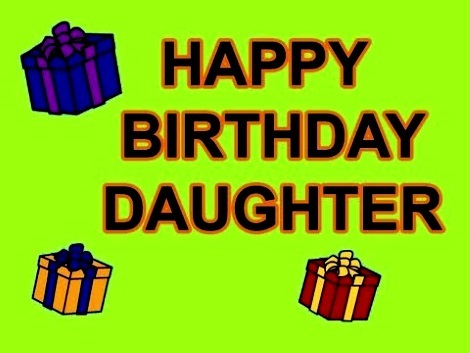 Wishing you, our bright young daughter, even more love than you may know, happy birthday. This year is yours, my darling daughter, soar high and always remember your worth. Have a happy birthday. Your energy beams from within, your love brings us enough joy for years to come, hoping your birthday is just as meaningful as you are. Eat your cake, sing your song, let your hair down, and take a moment for yourself. You deserve it. Happy Birthday, my sweet daughter. From the moment you were born, you’ve given me more laughter and more sweetness than I ever thought possible. I’m so lucky to be your parent. Happy Birthday. To my daughter, you have enough magic in your heart to last a lifetime. Your smile cures my worst days, and your hugs make my heart burst. 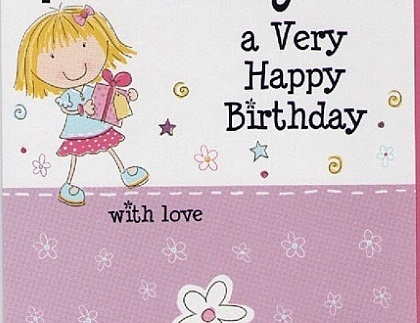 I hope your special day is filled with at least an ounce of the love you give me. Happy Birthday. My one gift to you is belief. I believe in whatever path you choose. I believe in your greatest dreams ahead. I believe in your ability to become the best version of yourself. May your birthday give you my belief for years to come. Oh how the years go by. 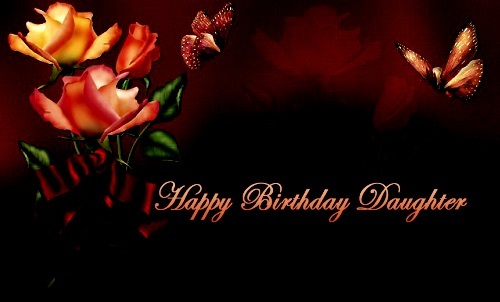 Daughter, I wish you a very happy birthday and a very happy life to come. It’s only just beginning. Your birthday reminds me of how much better you make the world around you. I am forever blessed. I hope your birthday is filled with a thousand balloons that cover the sky, creating just as much color as you have with your pleasant existence. 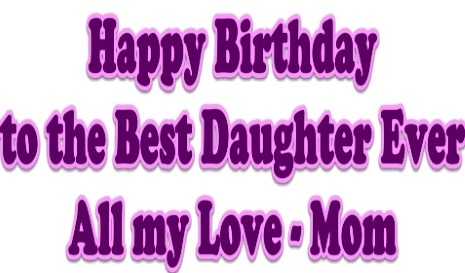 My beautiful daughter, your birthday is a celebration of you. There aren’t enough words to describe how much better you make my life.